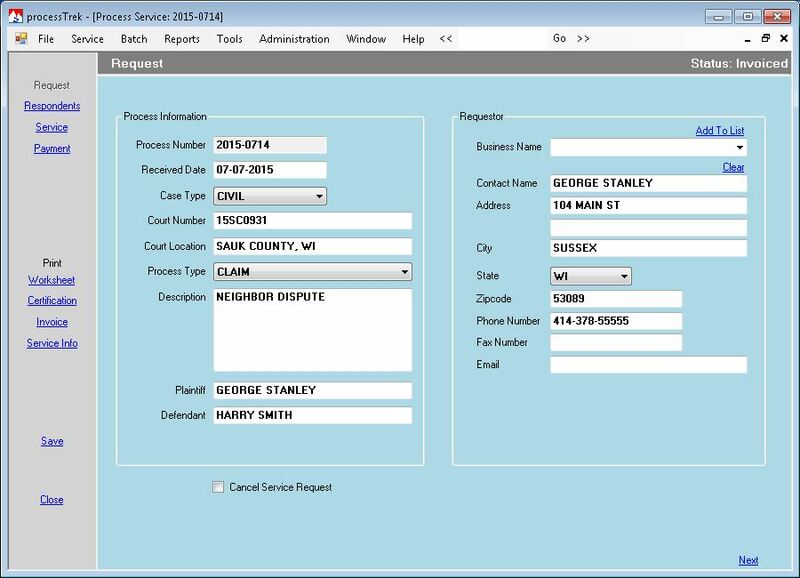 processTrek is a software system for management of civil process services performed by your Office. 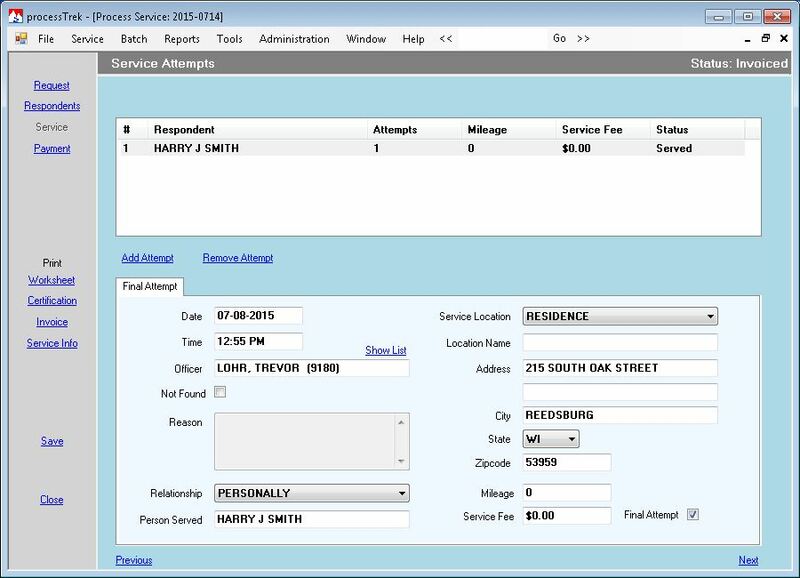 It provides a sequence of workflow steps to automate the handling of services performed by your office. 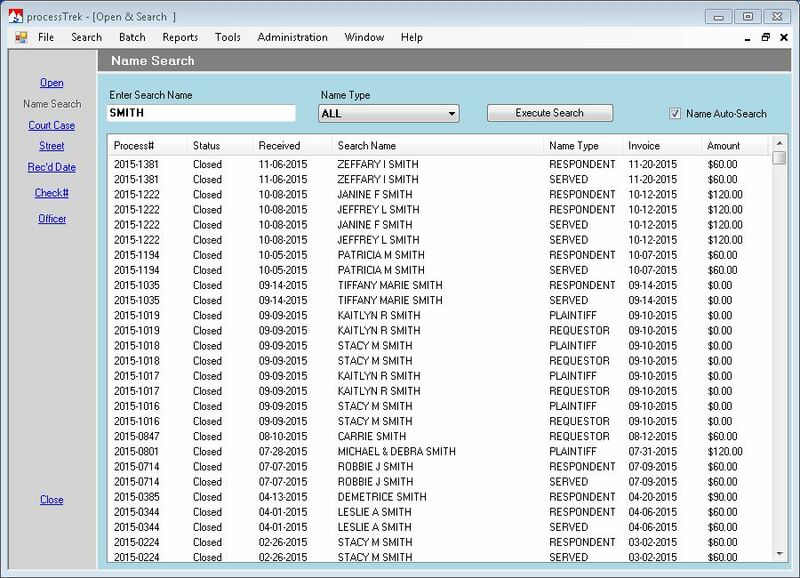 Each service record allows you to enter multiple respondents for each service request. 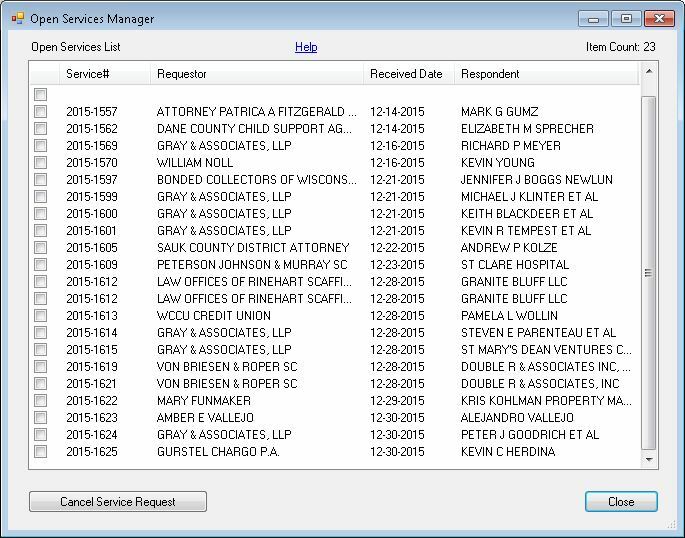 Additionally each respondent can have multiple locations for possible service. 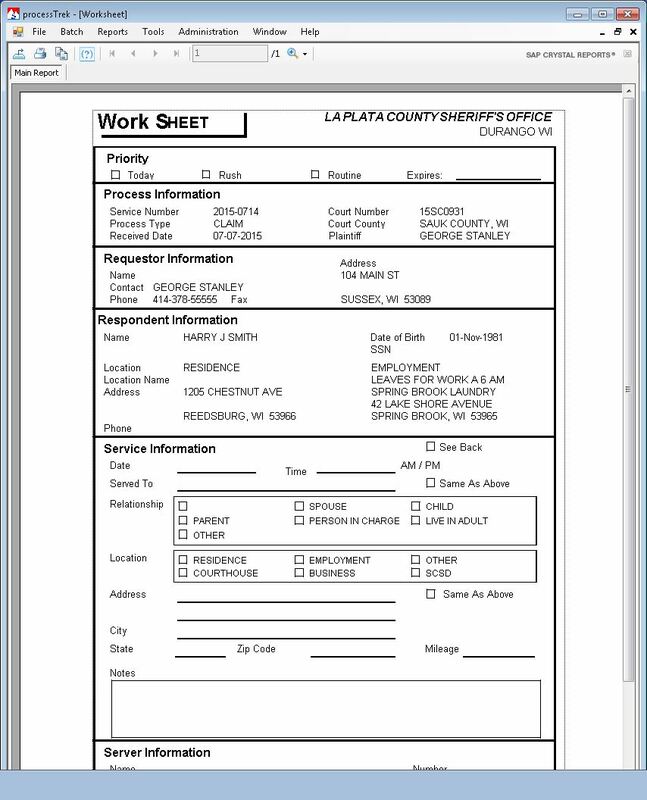 Worksheets can be printed and given to field staff, the worksheets contain all information necessary to complete service. 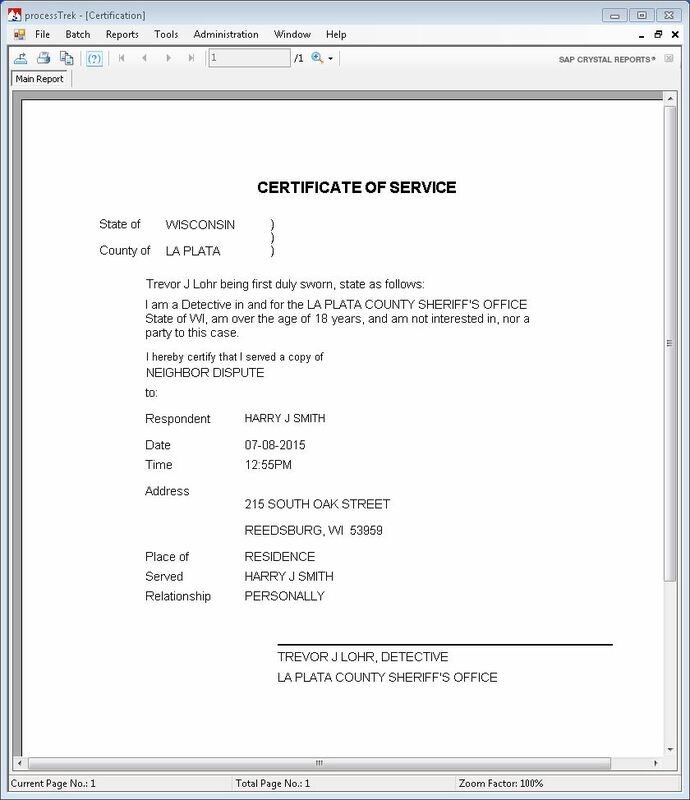 Upon completion of service a Certification statement is printed for return to the requestor. 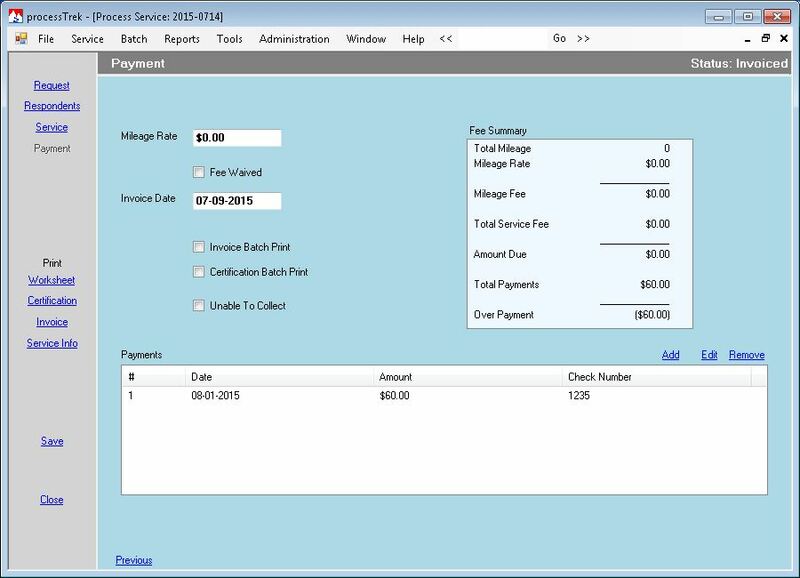 Payment management is built into processTrek including generation of invoices and payment receipt. 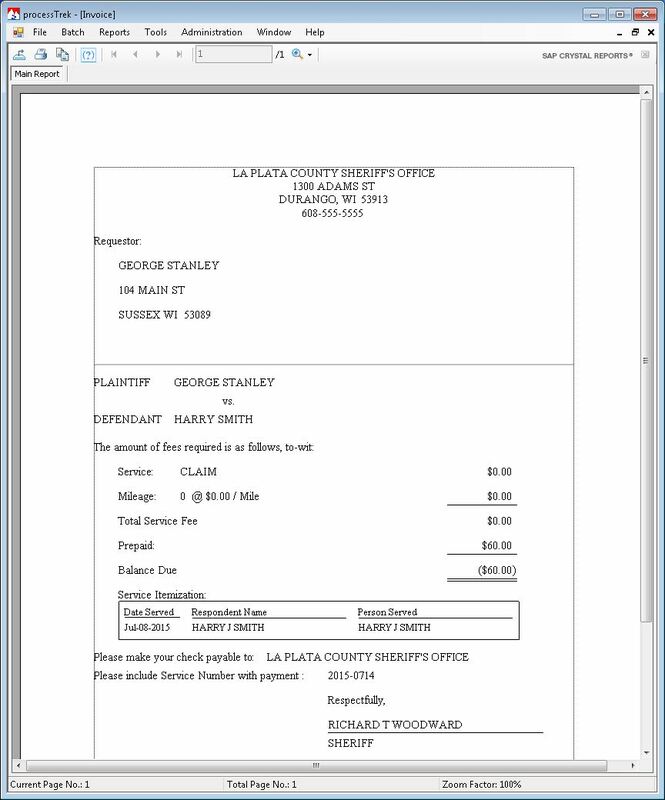 Batch printing of worksheets, certifications and invoices makes the whole process simple and quick. 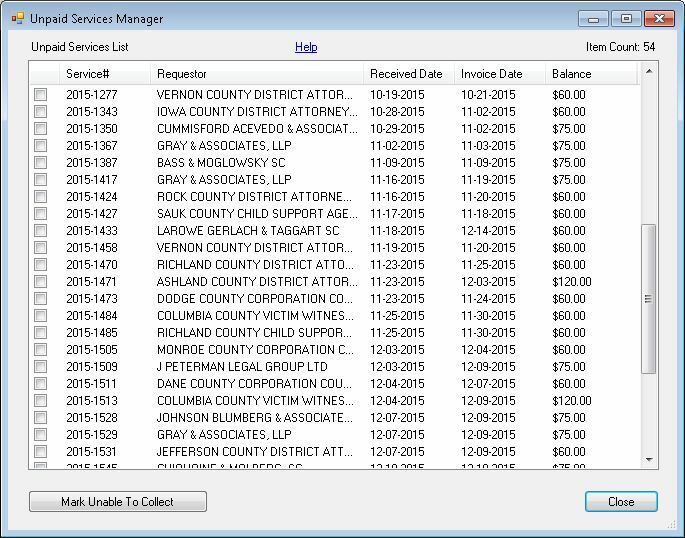 Reports notify you of open services, unpaid services, payments received and service summaries. 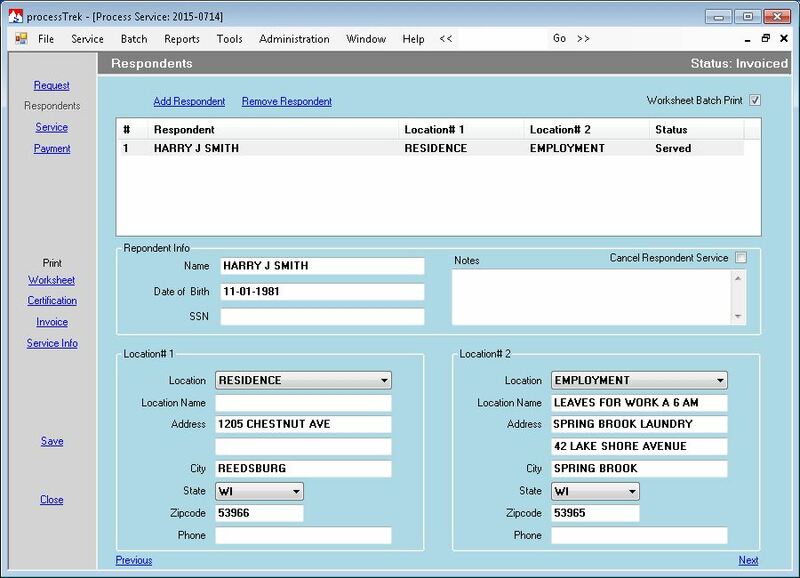 You can Search for service records by Service ID, Requestor name, Respondent name, Court Case, Street, Check# and by Deputy/Office name. 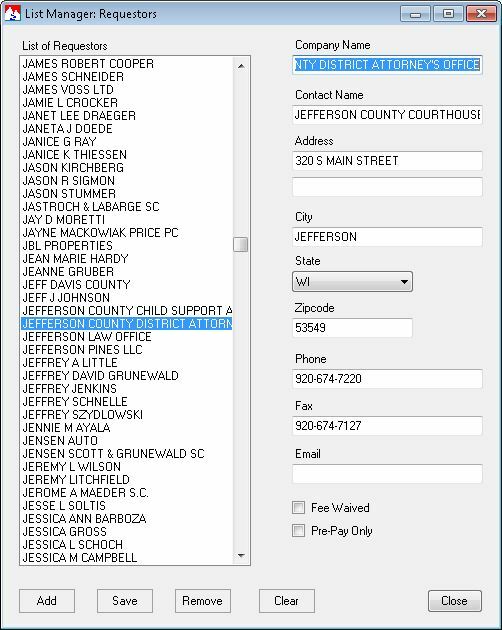 Click image to view processTrek Picture Gallery. 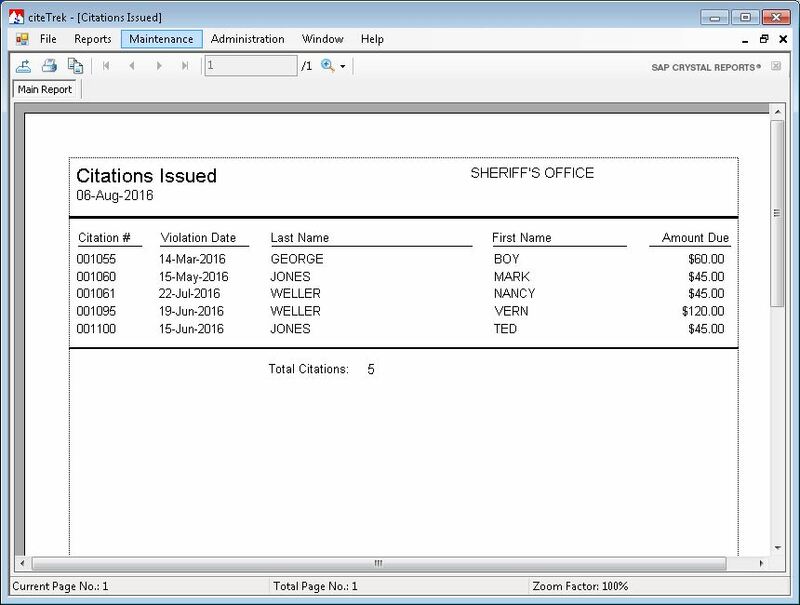 Try it and show yourself that processTrek is the right software tool for your Office. 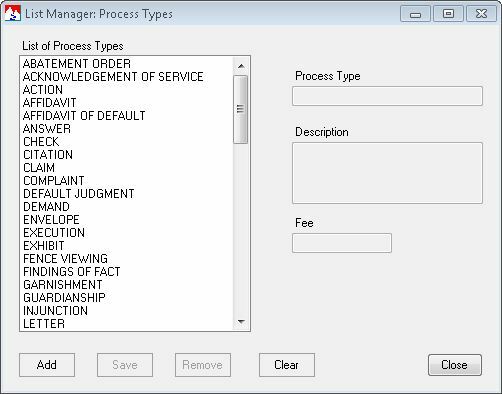 Our processTrek Price Sheet (PDF) is available for download. Please contact our office if you have questions or wish to make a purchase.